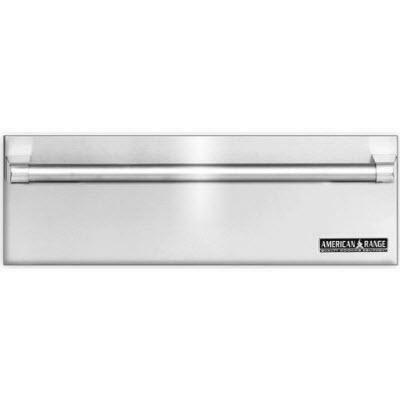 American Range Villa serie 27" professional Stainless Steel Warming Drawer with classic handle. 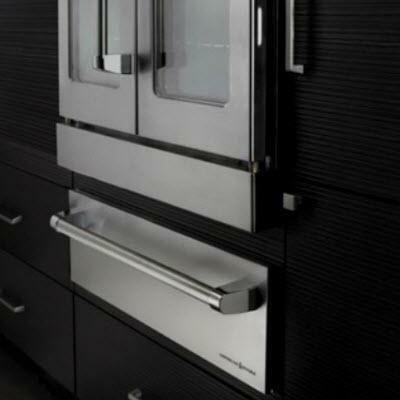 Featuring one touch presets, adjustable temperatures and on-times. With Automatic shut-off at end of cycle and easy to read digital display of time and temperature that simplifies programming. • Three-slides on the drawer for increased stability.